MCHD-8006 Victorian Dining Room Collection .Introduces the brilliance of time-honored style merged with Classic European, right into the center of your home. 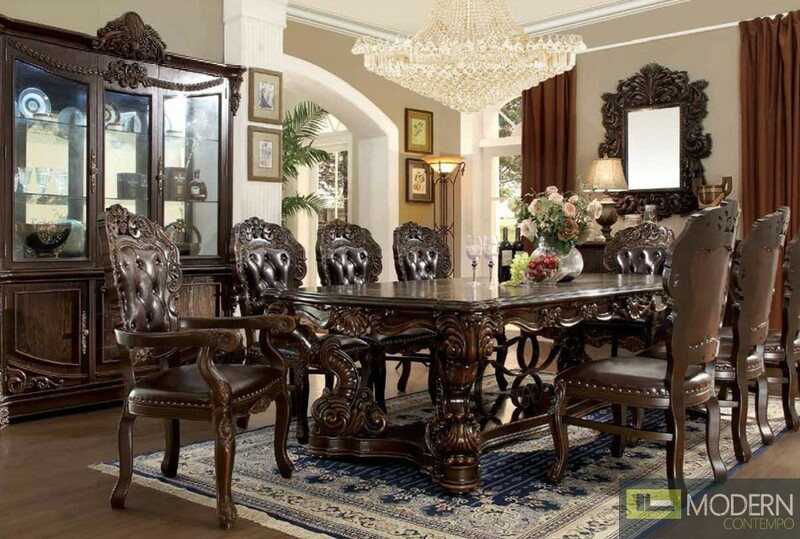 This collection is upholstered with Rich European Luxury Fabric is complimented and walnut Dining table. The details are hand-carved into Solid hardwood and solid wood frame.